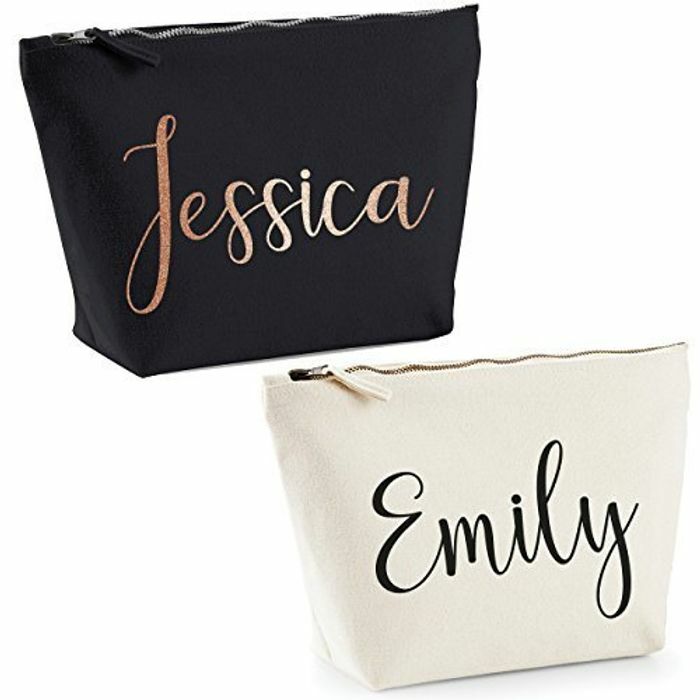 Wash bag or make up bag with name on. What a great find, ideal for a more personal present, going to get one and fill with hope and glory stuff. Thanks. So lovely to have products that aren't personalised and this is a huge bargain! Thanks so much for sharing. these would make perfect birthday or Christmas presents. Not sure if it's from the same seller but I bought one of these as a gift for my sister in law and it's great! Nice roomy bag and the personalization was done really well!